As a leader in innovative technology in the foodservice industry, Alto-Shaam saw this as an opportunity and provided an eye-opening solution. 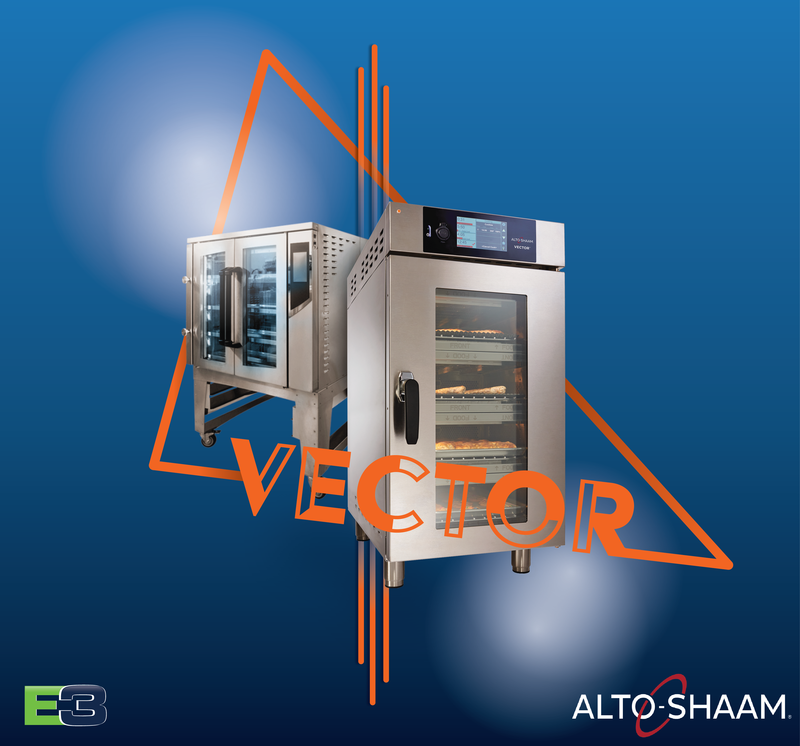 This fall, an entirely new category in our industry was created with the unveiling of the Alto-Shaam Vector™ Multi-Cook Oven. Imagine having the flexibility, variety and space-savings with four ovens all in one. Compared to traditional convection ovens, the Vector™ Multi-Cook Oven gives you the freedom of cooking in four independent chambers simultaneously. In each one you'll find Alto-Shaam's breakthrough Structured Air Technology™. This innovative component delivers high-velocity, vertical air flow from the top and bottom of each chamber, allowing you to cook with improved quality and evenness in half the time of convection ovens. You have complete control over the temperature, fan speeds and cook times of four ovens in one. No cross-contamination. No odor transfer. No heat loss when pulling out food from one of the chambers. The only thing you have to worry about it is how you're going to get creative and add some new variety to your menu! Create and store recipe programs or link chambers for same or similar cooking requirements and have peace of mind that anyone in your kitchen has the ability to operate this user-friendly equipment. No more having to watch over the oven and remembering to rotate the pans. Hello, savings on labor costs! For everything the Vector™ Multi-Cook Oven has to offer, it has an incredibly small 21" horizontal footprint. Oh, and did we forget to mention that it's completely ventless? No water. No vent. No worries. Sounds pretty unbelievable right? Check it out for yourself. Like what you read? We love feedback! Comment below!